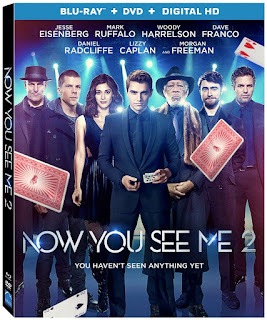 Lionsgate's Summit Entertainment has released a press release regarding the release of Now You See Me 2 on DVD and Blu-ray in the US. It will be available on Digital HD 23rd August and on 4K Ultra HDTM Combo Pack, Blu-ray Combo Pack and DVD 6th September. Target has an exclusive 3-disc set. HD) and DVD (plus Digital) September 6 from Lionsgate’s Summit Entertainment label. pulling off their most impossible heist yet. their names and reveal the mastermind behind it all. mastering the magic tricks seen in the film. The Blu-ray Disc of Now You See Me 2 will feature a Dolby Atmos® soundtrack remixed specifically for the home theater environment to place and move audio anywhere in the room, including overhead. 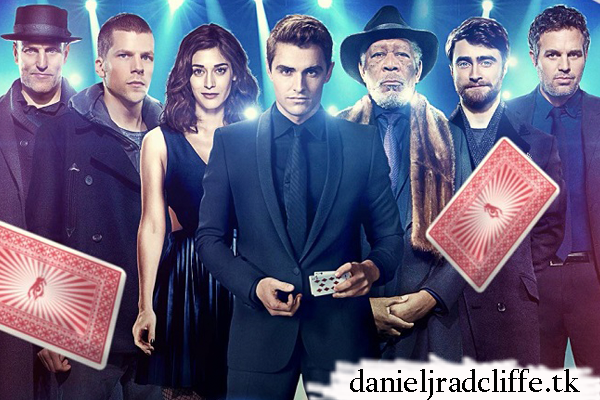 Title Copyright: Now You See Me 2 © 2016, Artwork & Supplementary Materials ™ & © 2016 Summit Entertainment, LLC. All Rights Reserved. DVD Audio: English 5.1 Dolby Digital Audio, Spanish 5.1 Dolby Digital Audio, English Descriptive Audio. 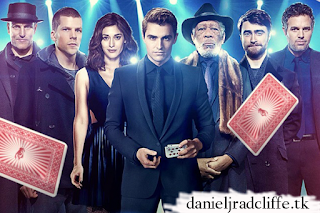 Its really a amazing post.Now you see me 2 is far more better than 1.I love this movie.I saw 5 times this movie.Its now on the top chart of my own favorite movie lists.